While the future president saw plenty of action in the Solomon Islands, at one station Nixon found time to master poker—and rake in winnings. But once the future president was transferred to the more peaceful Green Island, he found time for more leisurely pursuits—namely poker. In fact, he became such a card shark that, when he returned from his service, he brought home thousands of dollars in winnings—enough cash to help fund his first run for political office, when he won a California congressional seat in 1946. “I never saw him lose,” another Navy man, Lester Wroble, told Life. 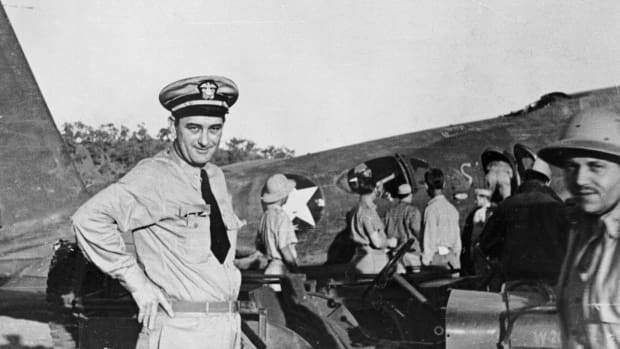 When he arrived at an air base in Green Island in the Solomons in 1944 to supervise the loading and unloading of cargo aircraft, by one account, he didn’t even know how to play cards. Nevertheless, Stewart shared with Nixon a strategy that he thought might work for a highly disciplined player. It involved turning in the cards about 80 percent of the time, and staying in the game only when you felt confident that you held the best hands. It was a boring way to gamble, but Nixon apparently wasn’t looking to be entertained. He wanted to make some cash. 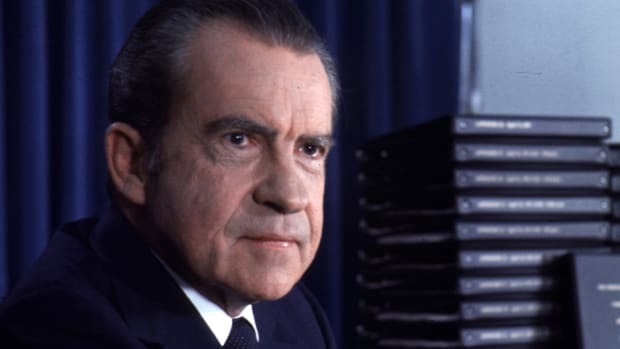 “In everything he did, Nixon tried to master the fundamentals,” Ken Hughes, a historian with the University of Virginia’s Miller Center, and author of the 2015 book Fatal Politics: The Nixon Tapes, the Vietnam War, and the Casualties of Reelection, says in an email. 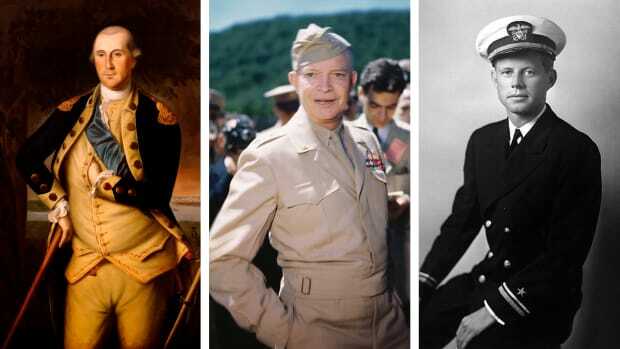 “When he wanted to learn poker in the Navy, he studied the game before risking any of his money, spending hours and days with the best players he could find, listening to their lectures, learning their moves, playing practice games with no stakes. Hughes explains that poker wasn’t just a game to Nixon, it was a skill to be honed and then put to use turning a profit. “It was work, and Nixon always worked hard, well and successfully,” Hughes says. 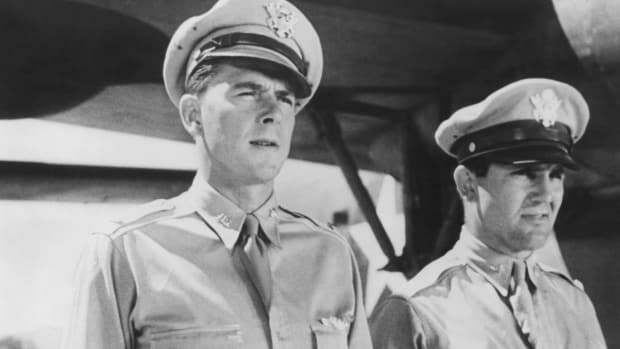 By Nixon’s own account, on one occasion he passed up an opportunity to have dinner with legendary aviator Charles Lindbergh, who was visiting the base, because it conflicted with a poker game that he had agreed to host. On Green Island, “Our poker games were more than idle pastimes, and the etiquette surrounding them was taken very seriously,” he explained. 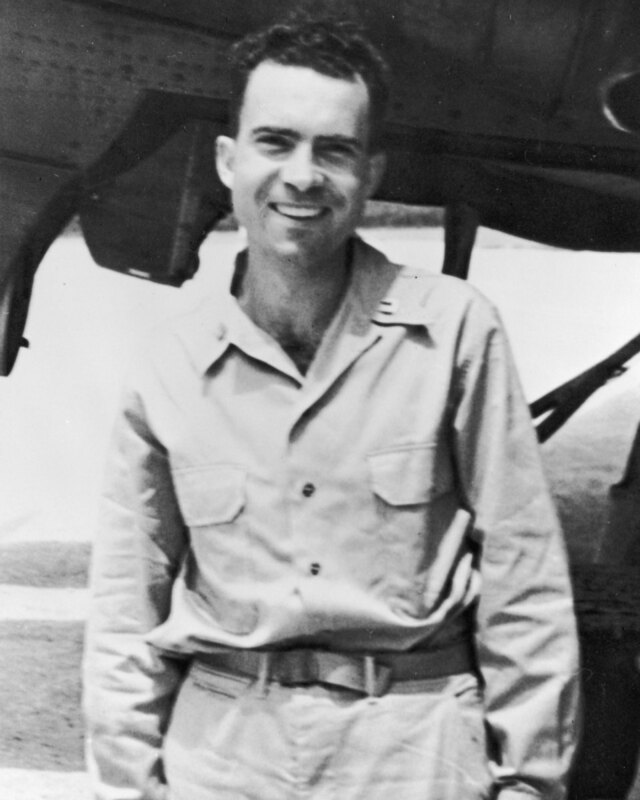 In July 1944, Nixon’s overseas tour ended when he was ordered to return stateside to finish his Navy stint. “When the war ended, so did Nixon’s poker-playing career,” Hughes says. When he came home to his wife Pat, Nixon brought a sizeable stack of cash. It’s not completely clear how much money Nixon won at poker during his Navy days, but according to Nixon biographer John A. Farrell’s book Richard Nixon: The Life, he told his family that he pocketed about $8,000—slightly more than $111,000 in today’s dollars. Aitken cites a lower estimate of $6,800. 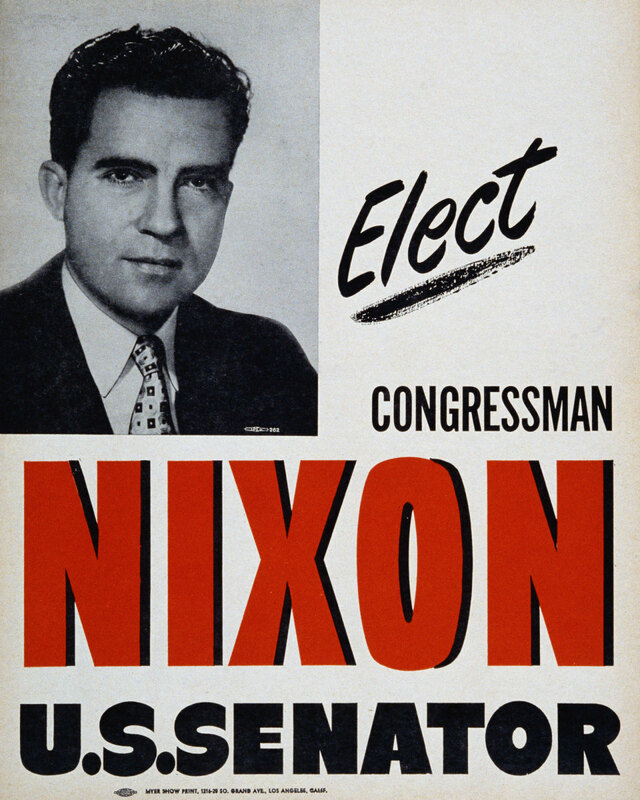 A campaign poster for then-congressman, Richard Nixon&apos;s 1950 run for U.S. Senate. His run for the House of Representatives in 1946 was partially bankrolled from poker winnings. Nixon originally planned to pool that money with his wife’s salary to buy a house. But instead, after receiving a letter from businessman Herman Perry urging him to run for a congressional seat in California’s 12th District, he decided to take on Democratic incumbent Jerry Voorhis. 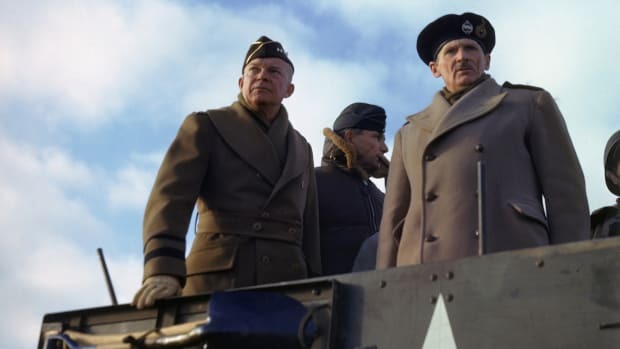 Nixon’s poker money made up a portion of the war chest that he amassed in his run against Voorhis, whom he defeated easily in the fall of 1946. “Nixon&apos;s first campaign certainly cost more than he’d saved from his poker winnings, but having some money saved meant that Nixon could afford to take a calculated risk on running for office,” Hughes says. 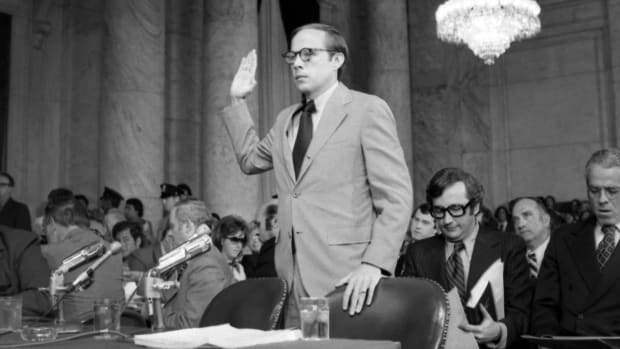 Though Nixon apparently didn’t play poker as president, during Watergate he did sometimes resort to poker metaphors, according to former White House counsel John Dean’s book, The Nixon Defense: What He Knew and When He Knew it.